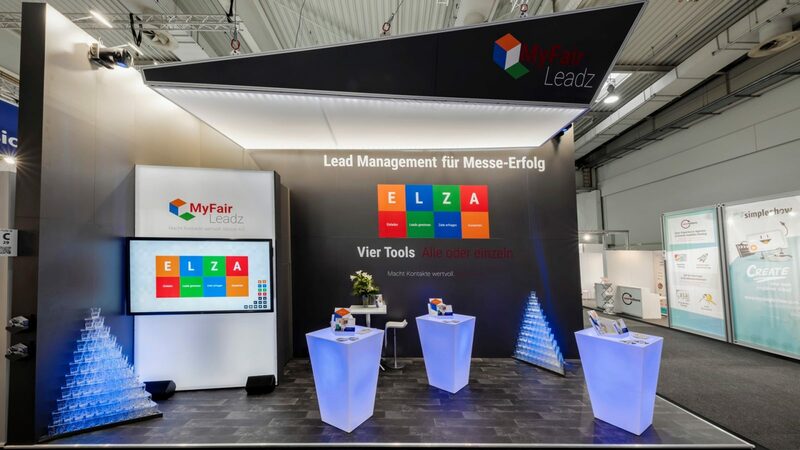 The exhibition stall of MyFairLeadz at this year’s CEBIT trade fair in Hannover had to fulfil two criteria: be striking and instantly communicate the product’s message. As a startup business belonging to our parent company C.F.A. Preuß & Sohn GmbH, MyFairLeadz needed to turn heads. The criteria were met. 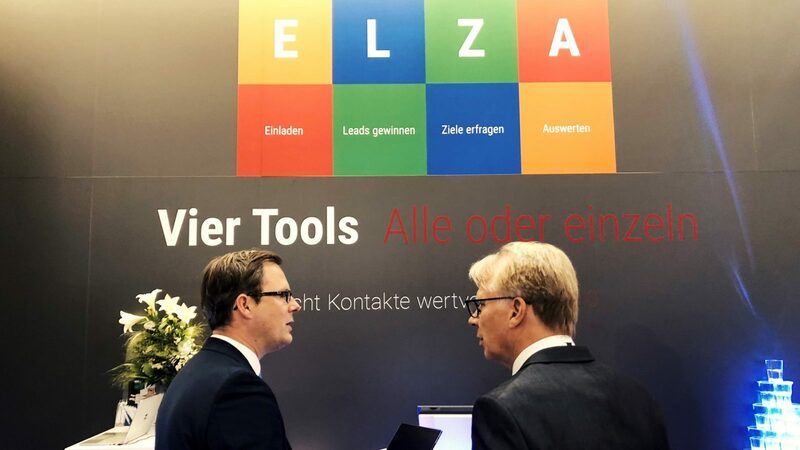 The stand impressed visitors with its strong and clear statement: the startup offers new, innovative and straightforward lead management for exhibiting companies. 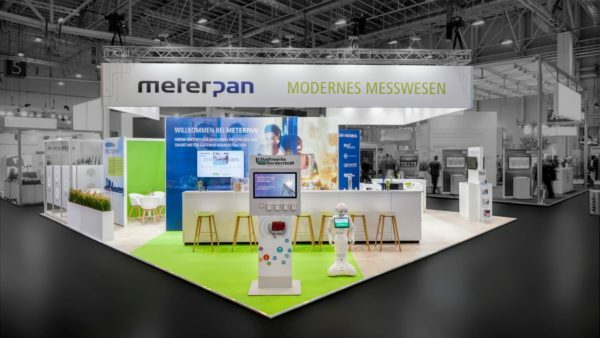 Amidst the vivid displays of the CEBIT exhibition stands, MyFairLeadz offered a muted base colour, which all the more effectively conveyed its message. 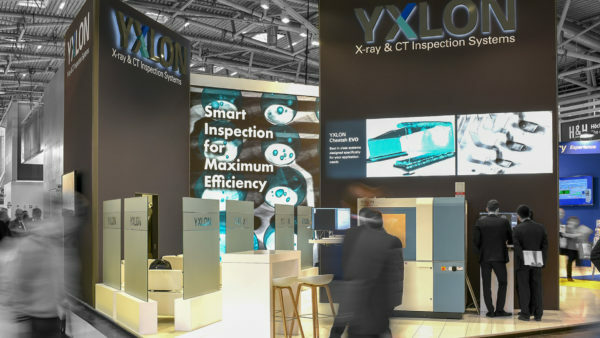 The stand had an area of 24 m² – plenty of space for three bar tables, at which representatives could talk business with customers and interested parties. What made the stand so arresting and made for impressive partitioning, were the glass pyramids illuminated by moving blue laser beams. 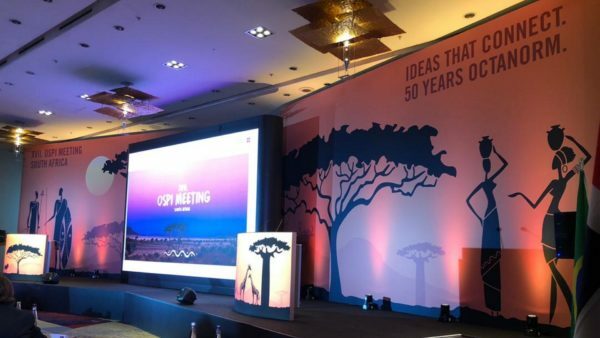 These symbolise the startup’s core business: turning business cards – rough diamonds – into valuable customer contacts or leads – polished diamonds. 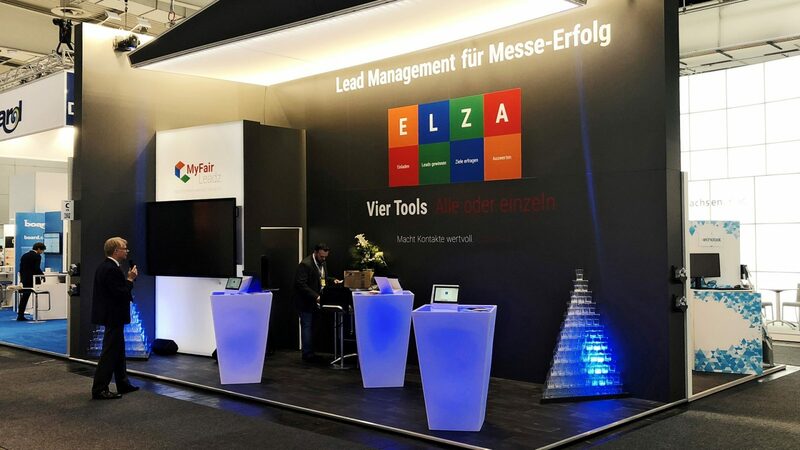 The backlit, semi-transparent fabric side wall with a large touchscreen positioned in front of it gave the trade fair debut by MyFairLeadz a sense of lightness and subtlety. 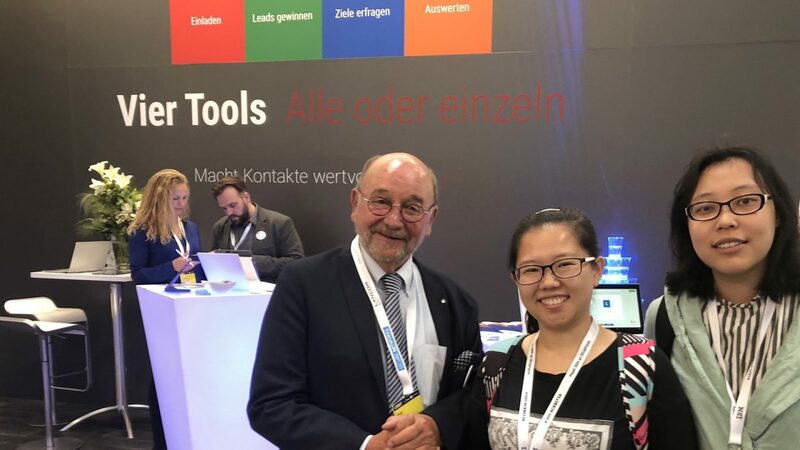 The exhibition stand was sponsored by the European Regional Development Fund, the Federal Government and the state of Schleswig-Holstein. Many thanks for that!